Digital Learning and Teaching Victoria - 'Everybody Dance NAO’ – A free animation and coding session for teachers. 'Everybody Dance NAO’ – A free animation and coding session for teachers. 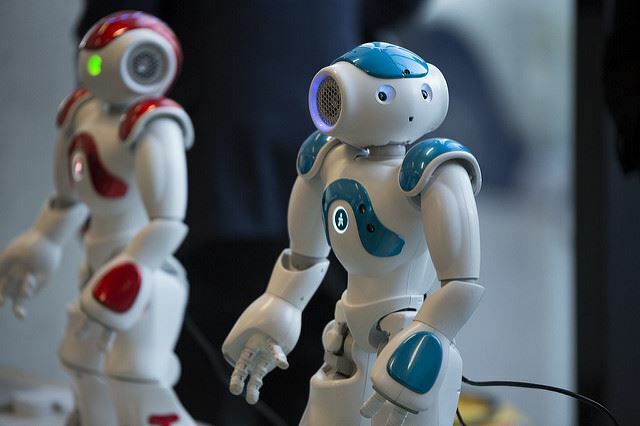 Join the team from The Brainary for a hands-on introduction to a variety of robotic platforms including the NAO humanoid robot. This session will cover programming concepts and algorithmic logic, such as inputs/outputs, iteration/looping, and if statements. There will also be information on the Everybody Dance NAO robot dance competition including a crash course on animating robot dances with NAO’s programming interface ‘Chorégraphe’.